Over the past year, Adobe Analytics users have noticed that the product has moved to a different model for accessing/editing/creating analytics components such as Calculated Metrics, Segments, etc… In this post, I want to touch upon one aspect that has changed a bit – the sharing of calculated metrics. This approach would save you the work of creating the metric thirteen separate times, which could be a real pain, especially if you had hundreds of report suites. In addition to these risks, in the newest version of Adobe Analytics, there are some cool new ways to share metrics that don’t require this duplication of the same metric hundreds of times. Therefore, if you have twenty calculated metrics across fifty report suites, you would have twenty rows in your calculated metric manager instead of one thousand! This makes your life as an administrator much easier in the future. While this may take some time, it will free up time in the future, since it will minimize the number of calculated metrics you have to maintain in the long run. I also find that it is beneficial to periodically review all of your shared reports and calculated metrics and do a clean-up. This process forces you to do this and you may be amazed how many you have, how many you can remove and how many are wrong! Hi, I have some calculated metrics in my existing report suite. I have created two more report suites. 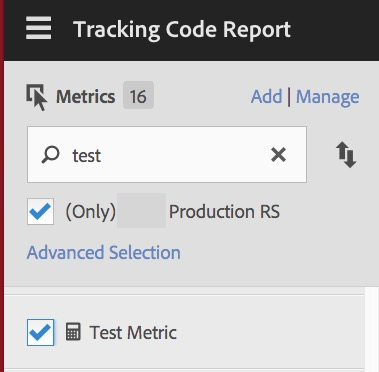 I would like to copy those calculated metrics from my existing report suite to the newly created report suites. Could you please help how can i do. 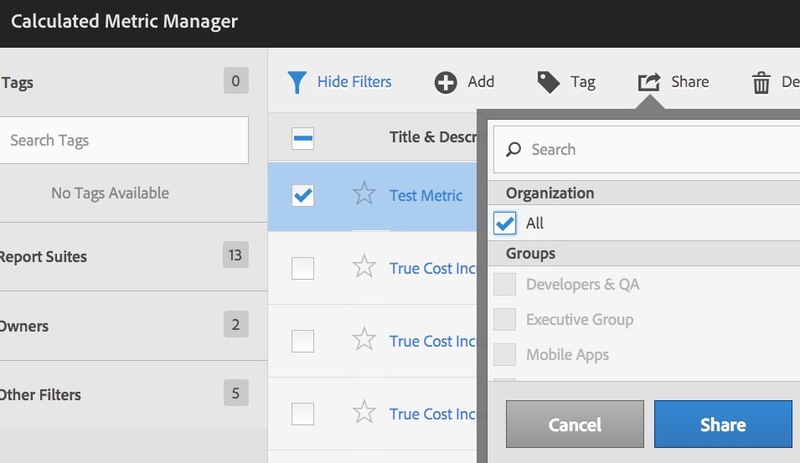 You can go to the calculated metrics manager and check them off and copy them to the other report suites. Will the data also copied to the new report suites? I hope it will not? Please correct me here. Calculated Metrics don’t produce data, they just are formulas that use existing data points in variables. If you add a Calculated Metric to a new report suite that doesn’t have the data required in the formula, there won’t be data, but if there is data for them, it will appear. 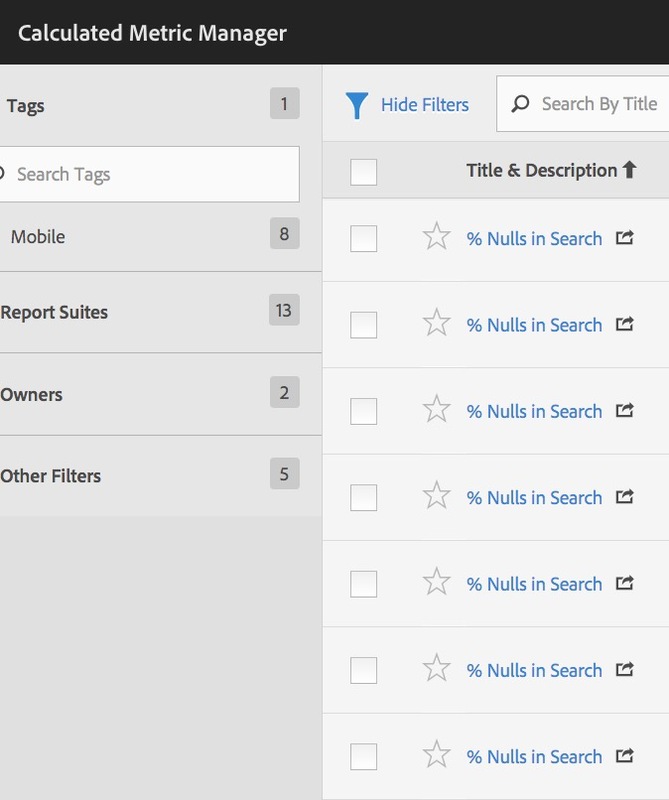 For example, if you share a Calculated Metric called Internal Searches per Visit, if the new report suite you share it to has Internal Searches (in the same Success Event slot), then that Calculated Metric would show data in the new report suite.